exceptions. The next generation of safety monitoring equipment is here now. Fox Valley Fire & Safety is proud to be a distributor of high-performance Keltron wireless transceivers for fire and event monitoring services. Naturally, your fire and security systems must be monitored. Still, you’ll want to use the most reliable and cost-effective technology on the market to do so. 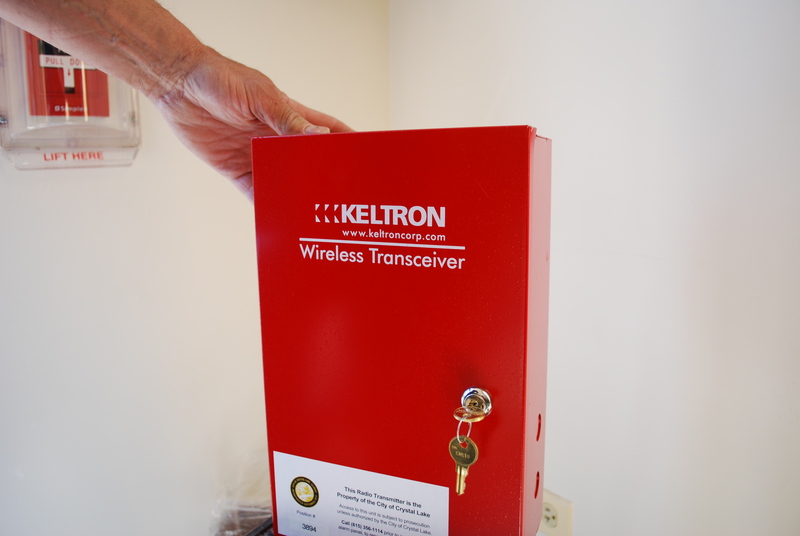 As experts in the field, we suggest Keltron wireless transceiver systems to our customers for a myriad of reasons. two-way wireless transceivers to send signals to the local municipal dispatch center or to a UL-approved central station. Central stations receive signals via cellular radio signals or telephone lines with trained staff to monitor their customer’s fire alarm and security systems (and call the appropriate authorities when an alarm is received). Two- way wireless transceivers create a continuous, reliable connection to alert the receiving center of an emergency and eliminate the expense of dedicated telephone lines. They’re a dependable, inexpensive solution for safety and property protection. Strong web of paths connecting subscriber radios to a central station. Unique store-and-forward technology eliminates signal loss. Each radio serves as both a transceiver and a repeater to improve the strength and range of the entire network. Distributed intelligence and dynamically evaluated transmission paths ensure that the system always uses the most reliable and quickest path to the central station. Multipath capability eliminates the need for both towers and expensive repeater sites. They seek the best and shortest route to a central station and adapt to changes. Dynamic, self-routing and self-healing network ensures instant monitoring. Retries and sophisticated error checking protocols ensure reliable data delivery. Unique technology ensures that reliable communication paths are always available and even overlaid networks do not conflict. Meet NFPA 72 fire codes and all applicable UL standards. Multiple routing enables a wide-range mesh network with high capacity growth potential. Additional subscribers strengthen the network by providing additional transmission paths. Radio transceivers easily interface with new or existing Keltron systems. Multiple retries and packet acknowledgement ensures signal receipt. Network monitoring software provides vital network status information. Remote diagnostic capabilities prevent needlessly sending technicians into the field. Delivers messages in less than 2 seconds, faster than any other method. Constant route analysis and prioritization results in optimal routing. Programmable message database provides accurate, instantaneous and precise dispatch. 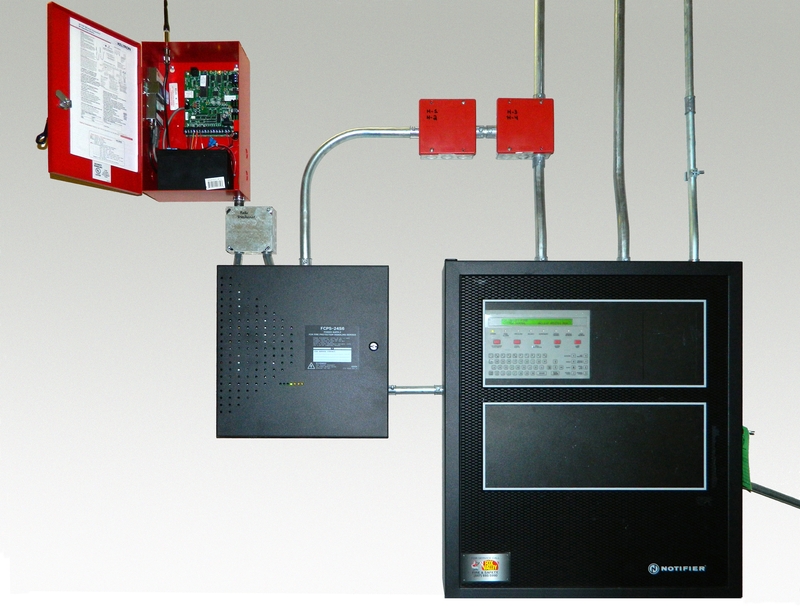 A Keltron system installed by Fox Valley Fire & Safety can also provide monitoring of other critical systems and equipment, such as sump pumps, water flow, and high temperature conditions for refrigerators or low temperatures in sprinkler rooms. The possibilities are endless. 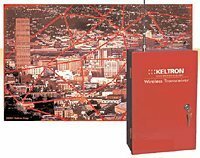 We recommend Keltron RF774F wireless transceivers as the answer to upgrading your fire/security system to 21st Century technology. Designed for use in campus facilities, industrial complexes, or municipal environments, Keltron transceivers provide high integrity communications that ensure every signal is authenticated and acknowledged. They’re NFPA approved, UL listed, and carry a 5-year warranty. Contact one of our representatives to learn more about how we can quickly install a new system for you, offering life safety protection for your building for years to come.